Professional motorcyclist Peggy Llewellyn, of Mexican and Jamaican descent, became the first woman of color in the world to win a professional motorsports event, winning at the NHRA POWERade Dallas event in 2007, earning her an appearance in the inaugural Countdown to 4 and Countdown to 1, giving her a finish in the POWERade top five in standings where she recorded her post-career-best time and speed. For the season, she finished fourth overall and holding the highest placing for a female in the Pro Stock Motorcycle class. In an interview with Women For Action, Ms. Llewellyn discusses her eagerness to further excel in professional motor racing and hopes her determination spurs the growth of equal advantages in the sport. Llewellyn explains the necessity of sponsorship to further visibility and branding. Though it’s a catch 22 she says, new talent may get discouraged. The lack of visibility prevents the necessary sponsorship and branding to nurture the growth of more women and girls in professional motor racing. Women For Action: Peggy, tell us how your love for racing began. Peggy Llewellyn: I was destined to race on two wheels. My mother rode on the back of the motorcycle with my dad when she was pregnant with me. I didn't have dolls like the other girls; my love was, and is, always motorcycles. My father owns a motorcycle shop and raced; my brother and I wanted to be like him. Women For Action: What was life like before you started competing in motorsport racing? Peggy Llewellyn: Before competing in motorsports, life was less hectic and exciting in a different way. I work in real estate, which can be intense because you are dealing with owners and tenants, leases, budgets, and the like, which can be a different kind of excitement. With the addition of motorsports, real estate mirrors my motorsports career, because instead of tenants, I deal with race fans and sponsors, which is also exciting. I still have to deal with race contracts and budgets, while adding on winning. Women For Action: Tell me about your work through Women's Sports Foundation Go Girl Go (WSF)? Peggy Llewellyn: My work through the Women’s Sports Foundation GoGirlGo! Program is near and dear to my heart. I know the importance of sports in young girls’ lives. It will help them physically and also boost their self-esteem, which helps them to not fall victim to drugs, alcohol, and other vices. The peer pressure young girls face is extraordinary. I do a small mentoring program with about five to 10 girls, utilizing the GoGirlGo! curriculum, which promotes being the best you can be all around, which includes [the participation of] sports. Women For Action: Since you won the NHRA POWERade event in 2007, have you witnessed any up and coming female motorsport racers? Peggy Llewellyn: I have seen a couple that is promising, but funding keeps them from pursuing a full-time career in motorsports, whether that be drag racing or circle track. Women For Action: What sort of impact do you feel you have made on women and girls in this sport? Peggy Llewellyn: I still get letters, emails, Facebook and Twitter messages from young girls, young women, and older women who tell me that because of my winning they feel empowered to do anything they put their minds to! I believe the impact goes far beyond just wanting to race; some express the desire to own a team or even be a crew chief in the realm of motorsports, let alone leaders in other fields. Women For Action: How are you dealing with the lack of diversity in your field of work? Peggy Llewellyn: It will always be work-in-progress. The catch-22 is if there is no funding, you can't race; and if you are not racing, then you aren't being noticed. You work every opportunity you are being given, big or small because garnering interest from 10 people can turn into 100 and so on, and so forth. 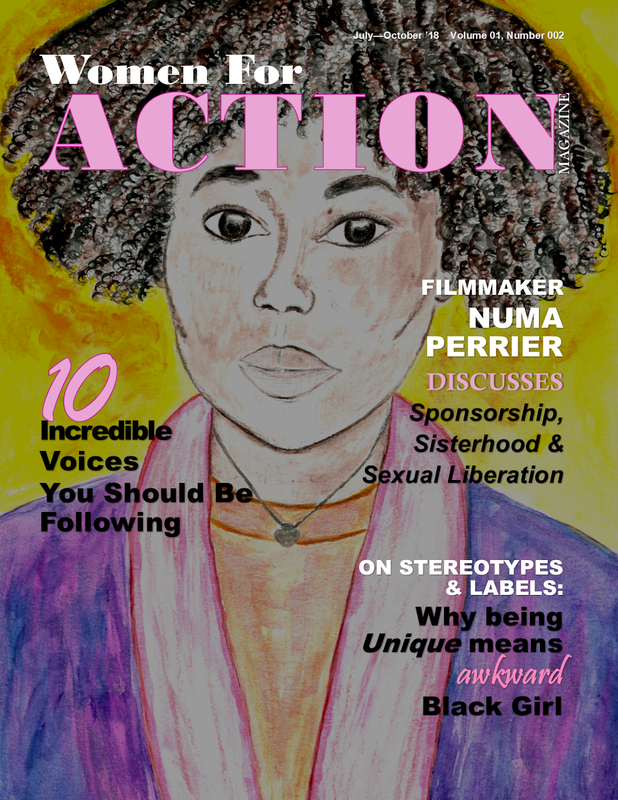 Women For Action: What approach are you using to ensure your voice is being heard in your work? Peggy Llewellyn: I make sure the door is always open. Diversity is good for every profession, as it brings different perspectives and talent in different packages. My approach to making sure my voice is being heard is to make the connection with those who have an interest in what I am doing. That may be through everyday interaction or social media followers who are amazed at my accomplishments and want to know more. All it takes is one person to be the influence of progression. Peggy Llewellyn: Right now, I am preparing for the 2016 NHRA season and working on sponsorship, of course, as well as a website re-design, merchandising, and looking into some other branding ventures. 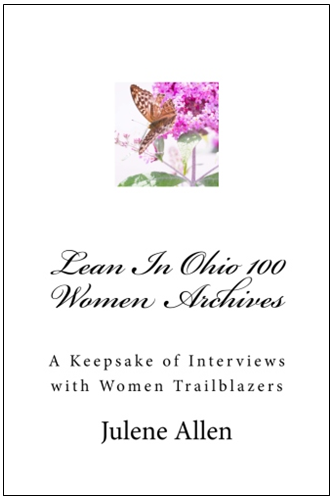 Women For Action: If any, what sort of obstacles have you faced as a woman throughout your career? Peggy Llewellyn: I think the obstacles I faced were more about my ability because I am a woman…can she really ride and compete. For example, I was racing with a new team and riding a motorcycle on which I wasn't quite comfortable. I kept practicing and working on riding technique; when everything started clicking, my opponents started taking me seriously. 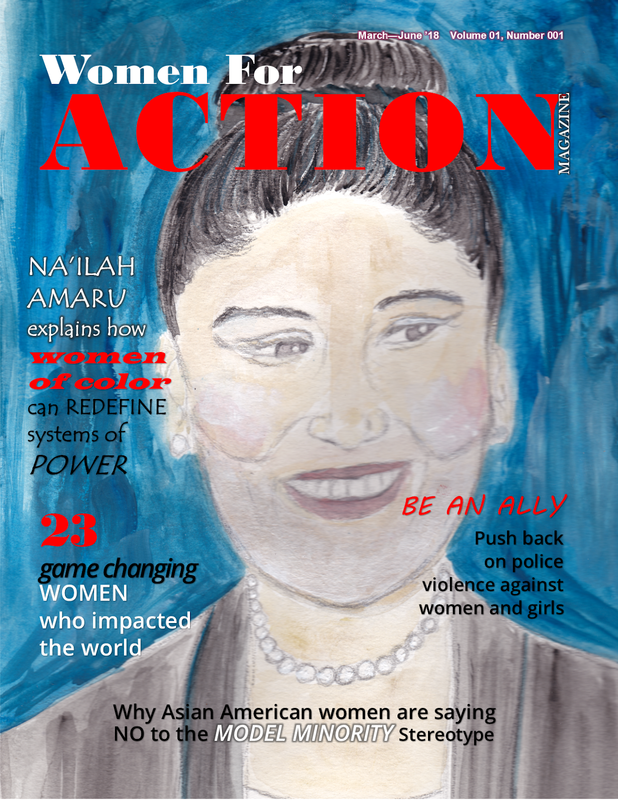 Women For Action: Do you feel there are disadvantages being a woman of color? 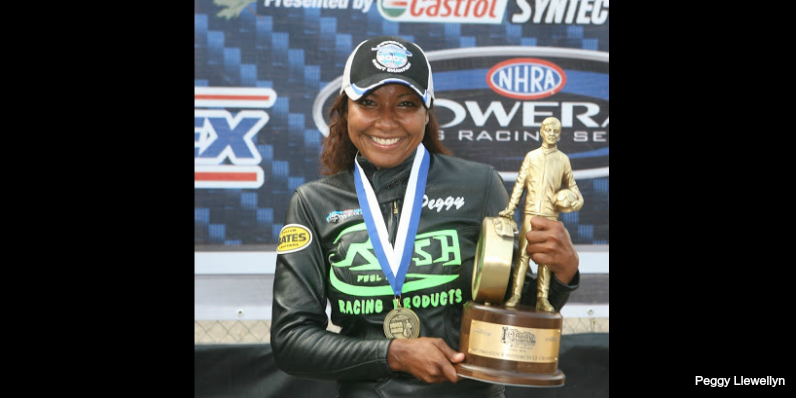 Peggy Llewellyn: The disadvantage that I have faced in being a woman of color is that the sport of drag racing does not have a large minority fan base that attend professional races. The sport is popular among minorities on the amateur level in terms of participation and attendance. It is very challenging convincing sponsors that I am just as recognizable and have a solid fan base as a professional dragster as my majority colleagues. In every situation, you have to prove that you have earned your spot on the track. Then again that is everyone. Peggy Llewellyn: I enjoy real estate and plan to open a full-service residential property management company. As the owner of Two Wheel Woman Racing, I would love to turn over the driving duties to an up and coming female rider. Of course, that will happen after I have won a couple of more races and championships. 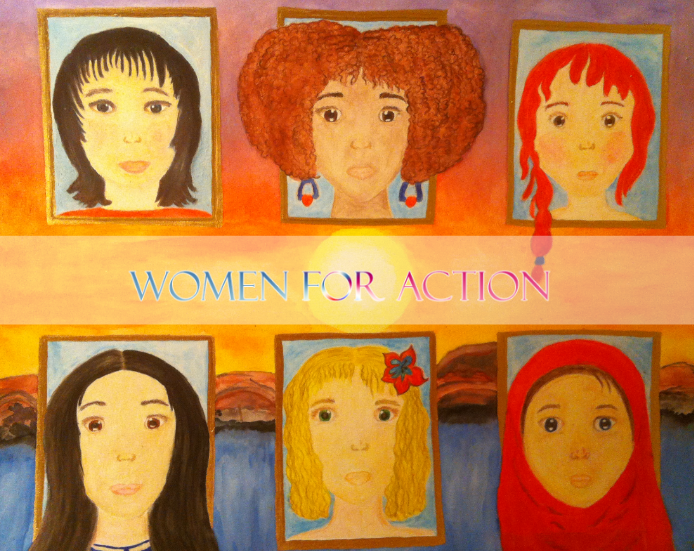 Women For Action: Tell us about your mission and what you would like to achieve. Peggy Llewellyn: My mission is more personal, which is to compete in the elite field of Pro Stock Motorcycle on the NHRA Mello Yello Drag Racing Series for the purpose of expanding the presence of Pro Stock Motorcycle racing beyond the motorsports industry for potential new sponsors. I want to broaden the appeal of Pro Stock Motorcycle racing by representing products with a wide global reach. Be a champion on the racetrack as well as in my community by being a positive role model and socially responsible citizen, possessing high integrity and strong values, emphasize the importance of sports participation and healthy lifestyles. Women For Action: How important is it for women and girls to be involved with sports or would you say it places an importance? Peggy Llewellyn: Participation in sports builds healthy, active and confident girls so they become successful leaders. If you feel good about yourself both inside and out, there are no limits. Peggy Llewellyn: Hands down, my NHRA 2007 event championship in Dallas, TX because no one saw me coming! My competitors thought I looked shaky on the bike, my reactions weren't good, but that just encouraged me to work harder. I came up with a history-making win. To be the first woman of color to win a professional motorsports event…I still pinch myself. History making! Peggy Llewellyn: There will be obstacles if it were easy everyone would be racing a Pro Stock Motorcycle. Learn every aspect of Pro Stock Motorcycle racing, not only the bike and how to ride but the business side as well. It is about being smart on and off the track. Peggy Llewellyn: Drive and determination keep me reaching for my goals! No one can take away the thrill I get from hanging on to 340hp 2 wheel beast for 6sec at 190+mph.